As expected, France national team coach Didier Deschamps has named Olympique Lyonnais star Nabil Fekir in his first Bleus squad. Having confirmed that he wanted to represent France and not Algeria last week, Lyon’s exciting attacker Fekir has received his first international call-up. Les Bleus are set to compete in friendly internationals against Brazil and Denmark later in the month. However, while Fekir has turned his back on Les Fennecs, his participation in France’s friendly matches would not preclude him from an international future with Algeria in the future should he so desire. 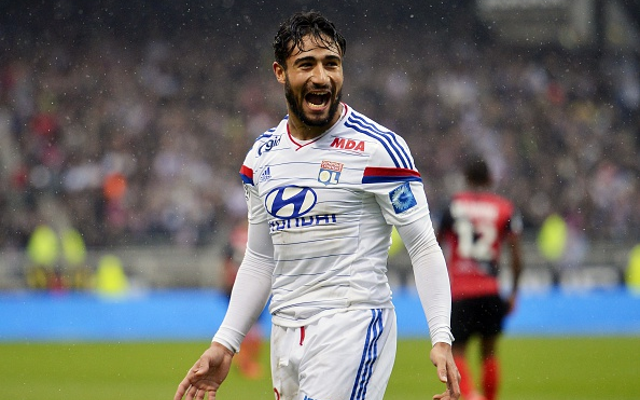 Fekir is joined in the squad by his Lyon teammates Alex Lacazette, Maxime Gonalons and Christophe Jallet. Ligue 1 is also represented through Steve Mandanda and Dimitri Payet (both Olympique de Marseille), Stephane Ruffier (AS Saint-Etienne), Geoffrey Kondogbia (AS Monaco), and Blaise Matuidi (Paris Saint-Germain). There is no place for ASSE skipper Loic Perrin, one of the division’s key performers so far this season, while internationals such as Yohan Cabaye and Yoann Gourcuff are also absent. Calls for En Avant de Guingamp’s in-form attacker Claudio Beauvue to be given his first international call-up have also fallen on deaf ears. Karim Benzema (Real Madrid), Nabil Fekir (Olympique Lyonnais), Olivier Giroud (Arsenal), Antoine Griezmann (Atletico Madrid), Alex Lacazette (Olympique Lyonnais), Mathieu Valbuena (Dynamo Moscow).